Trust deed investments in Denver Colorado can be a fantastic way to earn solid returns and diversify. In fact, trust deed investments are one of the methods that the wealthy use to make much bigger returns on their investments than anything you can get on the open market. In a nutshell, a trust deed investment is a private loan that’s secured by real estate. Most are short-term, generally under two years, and normally at a high interest rate – 7-15% is typical, even when banks are lending at 3-7%. Surprisingly, there’s a lot of competition from borrowers who are willing to pay these kinds of rates to lenders – and an increasing number of investors who are interested in funding them. Why would investors take deals that banks would pass on? There are lots of reasons, so let’s start with the basics. Banks and lenders fall under a lot of regulations that private money lenders don’t necessarily have to follow, especially since they’re not federally insured. Local trust deed investments are actually more like old-school investing. Trust deeds are built on trust – just like back in the day, when it was common for deals to be sealed with handshakes and there weren’t so many lawsuits. Trust deeds aren’t just based on credit scores and ratios. For these deals, insider knowledge, relationships and potential value matters a lot more than the score assigned by a computer. But like other high-return investments, there’s a lot of risk involved if you don’t know what you’re doing. The investors who make a lot of money on trust deeds work with highly reliable brokers, attorneys and experts who help them evaluate the full potential of the loan – and assess the risks involved. If you’re interested in capturing solid returns from the local Denver trust deed marketplace, we may be able to help you. 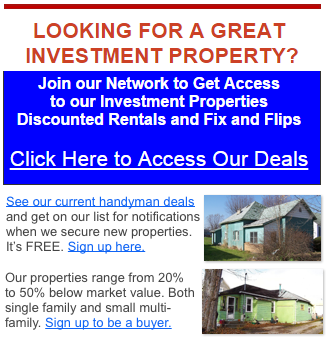 We get requests from people who are looking to borrow money secured by real property (with equity!) who don’t qualify for traditional financing. As a general rule, most investors want a high degree of security that the borrower stands to make 20-50% ROI with the funds he or she borrows. If the borrower’s plan is too risky or shows signs of probable failure, it’s wise to pass on the investment. We’re not brokers – sometimes, we may partner with qualified investors to secure deals, and a trust deed is one tool at our disposal. If you’re looking to invest in Denver Colorado real estate – not just in trust deeds – give us a call anytime at (720) 466-7716. We’re happy to talk with you about our services and discuss how we can help you make money in real estate.